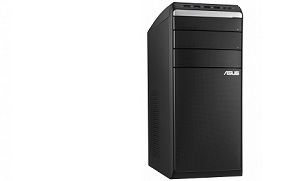 Desktop PCs are a popular choice thanks to their affordability, performance and power, but there is a huge range to choose from that suit different requirements. 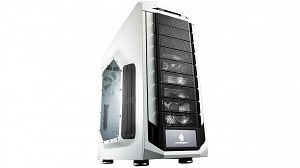 This buying guide is designed to simplify your decision with hints and tips on finding the ideal desktop for you. When buying a PC to suit your lifestyle, the following features and functions are most important to consider. 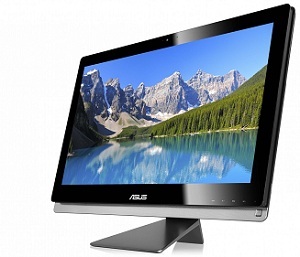 Desktops come in two main designs: All-in-one and Tower. The design distinction between both types provide specific features that are suitable for different needs. All-in-one - Come as a ready to go package of touch screen monitor with built-in PC components that create an ideal, space saving work station. Tower - Allows versatility in connecting numerous devices and upgrades that make your desktop specific to your needs, whether for professional use, entertainment, or PC gaming. The primary hardware that drives a computer is the central processing unit (CPU). Most desktop computers feature two or four core processing units that have the ability to multi-task numerous software applications at any one time. Random access memory contributes to the speed at which software programs and applications may run, due to how much of the software's crucial operating functions the RAM can be hold at any one time. While the CPU speed determines how quickly an application is loaded, from hard disk drive into RAM, the size of the RAM contributes to software speed. Hard drives (HDD) and solid state drives (SSD) are the primary unit for installing software and storing files such as movies, music, pictures on desktop computers. Current data storage from desktops range from 500GB to 3TB capacities. Generally, SSD run in silent, have lower latency, are quicker to access data, and more resistant to physical shock. HDD typically have larger storage capacity. 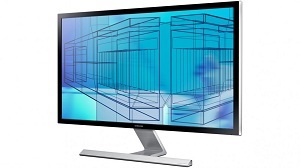 The size of your monitor, and how many, will depend on your intended use for the computer. 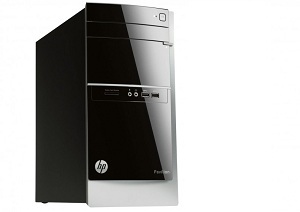 Desktops usually include an optical drive such as DVD or Blu-ray reader and burner as a standard component. Desktop computers offer flexible connectivity options such as wireless networking, and USB connection to compatible devices, such as external drives, speakers, mouse, and more. Keyboard and mouse - Although desktops come with a keyboard and mouse, you can easily enhance your experience with optional designs such as ergonomic, wireless and gaming features that offer increased control. Mouse mats - Make the most of your mouse with mats that improve both speed and precision of laser sensors. Webcam - Allows face-to-face video conferencing on applications such as Skype, with family, friends, or business colleagues. Most webcams include a microphone but differ in terms picture resolution. PC speakers - Come in a range of solutions from basic to complete home theatre systems that create an immersive gaming computer or movie experience. Headphones - Another audio option for desktops is headphones with microphones, which are ideal for phone conversations over the internet, or reduce noise in the home by restricting sound to the user only. Printer - Come in two main types: inkjet and laserjet. Inkjet is ideal for photographic printing, but general slightly slower overall. Laserjet is ideal for fast, quality printing of text documents. Multi-functional printers - Include printer and scanner technology that provides printing, scanning, copier and fax functionality in a single flexible unit. Scanner - Most printers include scanner in the all-in-one design. But stand alone scanners are available if you require a more versatile set up in your office.